Governments are not set up for rapid change. By implementing collaborative planning strategies or collaborative rationality, there is an opportunity for sustainable governance. Utilizing collaborative planning strategies, decisions are made through the interaction of various stakeholders to reach a decision regarding the problems that exist within a system. In order to reach a consensus, cohesive insight, knowledge and understanding is required. This is an alternative to the traditional linear model of planning which has a hierarchical nature. Collaborative rationality relies on expert knowledge and reasoning, while taking into consideration stakeholder needs. Collaborative planning works to resolve issues at hand, while creating a community that is better prepared to address issues in the future. This type of interaction leads to strategies that are more efficient, creating methods to forming an adaptive and resilient community. It is often in planning or even with our governmental structures that we see policy failure because there is this lack of collaboration. Without consensus, there is difficulty in truly resolving problems. If we become too focused on the day-to-day, we fail to move forward and solve problems at a larger scale. One way to create solutions for solving problems collaboratively is through the analysis of different theories. Theory provides context, and a baseline understanding of how and why different practices work, as well as a basis for evaluating existing frameworks within a system. Through the understanding of theory it becomes possible to generate new insight and ideas. This is an essential in planning. If we continue to plan without theory and maintain a narrow focus, there limited success. It is also important to note, the legitimacy of public action is dependent on creating support for methods that have been proposed. Theory evolves through the knowledge of experts, and collaboration is made possible by understanding theory. Collaborative planning is not an instant process. These are strategies that will be accepted over time because each party must effectively negotiate. If you win at the expense of the other party you create an enemy, but if you can find a mutual gain solution you create an ally. Yes, it is important to make your voice heard; especially as the expert, but without support these strategies will not be effectively implemented. Also, by gaining the support of other sides there is an increase in the knowledge base which allows for momentum to increase as well. In order for this all to happen, conversation must be efficient and successful. First, we must develop an incentive structure. Although we should not need to provide incentives for stakeholders, it helps to get people excited about the discussion and provide valuable input. It is important in decision-making to be sure that all opinions have a voice. Dedicated staffing is another important aspect of policy dialogues. Staffing in these discussions is important to facilitate dialogue and help participants come to joint conclusions. Without a good mediator or positive dialogue, it will be hard for consensus to be reached. Creating collaborative dialogue is a vital step to the decision-making process. I worked with a local business alliance in Santa Fe, New Mexico, which had started a Farm to Restaurant program collaborating with the local farmers’ market. Through this process there were various meetings to determine how the two organizations would work together to reach the common goal of getting local, fresh food to the public. The local business alliance was the largest stakeholder where the farmers’ market was more of a supporting organization. This created tension because the market wanted more representation and support from the alliance, when they weren’t giving much back. Eventually, through outlining the vision and recognizing value, each side listened to each other and a positive dialogue was created. There was an agreement to support each other to reach this common goal. This example demonstrates that when one side feels underrepresented, it becomes challenging to reach a common goal. The last step in successful policy dialogue for collaborative planning, and one I believe to be most important, is the ability to adapt. This is a point I have already briefly touched on, but is a continuing theme in collaborative planning. Collaborative planning is primarily based on discussions between various stakeholders proposing their solutions for how a problem should be addressed. Often for each party there is a different understanding of how a problem is best solved. Rather than arguing what view is “right”, parties must adapt to create the best solution. The ability to adapt creates the opportunity to develop a model of best practices. Elements of several ideas can be incorporated to find a solution that is mutually beneficial. Collaborative planning is not always an easy process, but it is a logical and practical method of planning. Change will not come quickly. As stated previously, this is an in-depth and complicated process that results in a long discussion and slower response. Policy professionals and planners are vital in moving society forward. 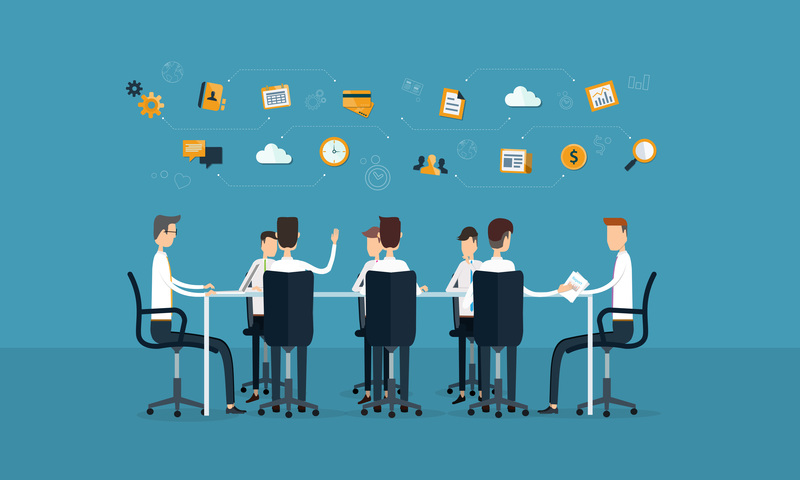 Although collaborative planning acts as a complex process, these strategies allow for all stakeholders to have their voice heard, arriving at the best. Planners and developers can be seen negatively when they make solutions independently, but by working together there is a higher likelihood of public support. Rachel Miller is an Urban Planning professional and MBA, focused on community resilience. Rachel has been dedicated to developing community resilience by approaching urban development through systems change and capacity building programs. Some of these programs include the implementation of a Farm to Restaurant Program through a Local Business Alliance in Santa Fe, New Mexico; and early involvement with People’s Liberty, a grant making non-profit in Cincinnati, Ohio, aimed at direct investment in motivated community members. 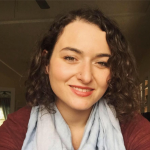 Although she is a new resident to Oakland, CA, Rachel is already deeply inspired by the abundance of progressive movements engrained in the history and culture of the area. She is currently active in organizations and programs that provide her with opportunities to strengthen her leadership skills to best serve her community.